I LOVE this dress! You did a great job with the drafting. Since I began following sewing blogs I realized that I sew only frosting… it’s so fun working with pretty fabric, but it’s not so fun to realize you get to wear that special dress once every other year to a cousins wedding. Inspired by MMM I’m now more motivated than ever to sew me some cake! Wow. The bodice of this dress fits you like a glove! The fabric print is great too- understated but totally chic. Great make! This dress looks fabulous on you, such a great fit! It looks like you are making huge steps with your sewing, I am so impressed! I am definitely a cake girl, sometimes I feel “bad” about it, but then I know I will wear my things everyday and they make me happy everyday. Thanks, that’s so kind. Cake all the way! This is so totally you! Love it. your pattern manipulation turned out great! i’m right there with you on wanting to make things that work into my actual life (instead of my fantasy life…). sometimes it makes me feel like i’m missing out, but every day that i can reach into my closet and grab the hand mades, it’s a win. Awesome. You can really see the detail when its on the hanger. 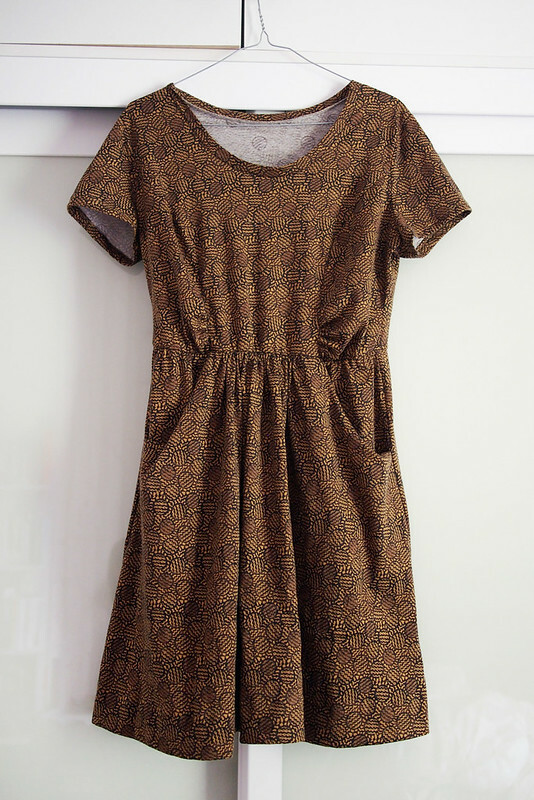 A cool, classy and comfy number and bonus brownie points for hitting the requirements of the Monthly Stitch ‘Cake’ theme with your self-drafted cutie! 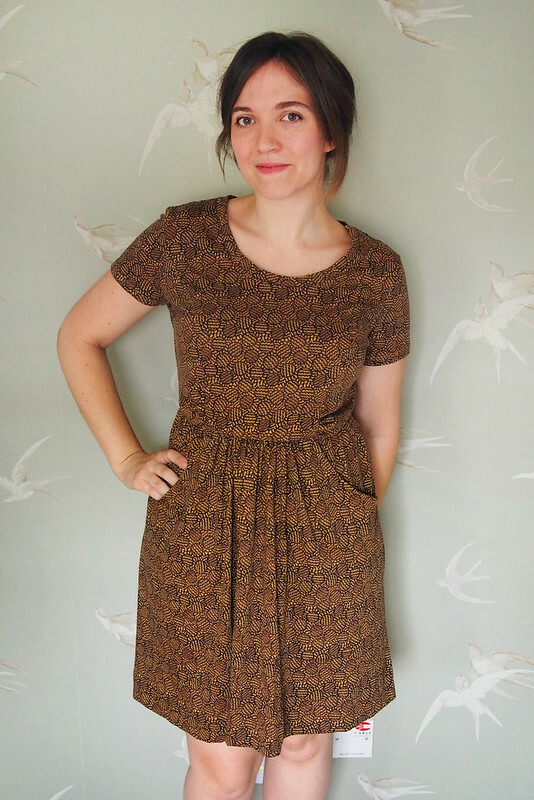 I think you should name this dress “Katie” and then every time you make one you can just say “I sewed a Katie today!” (And then you should make a pattern and sell it and then we will ALL make Katies! ;) It’s great! I love it! How wonderful that you drafted your own perfect dress. 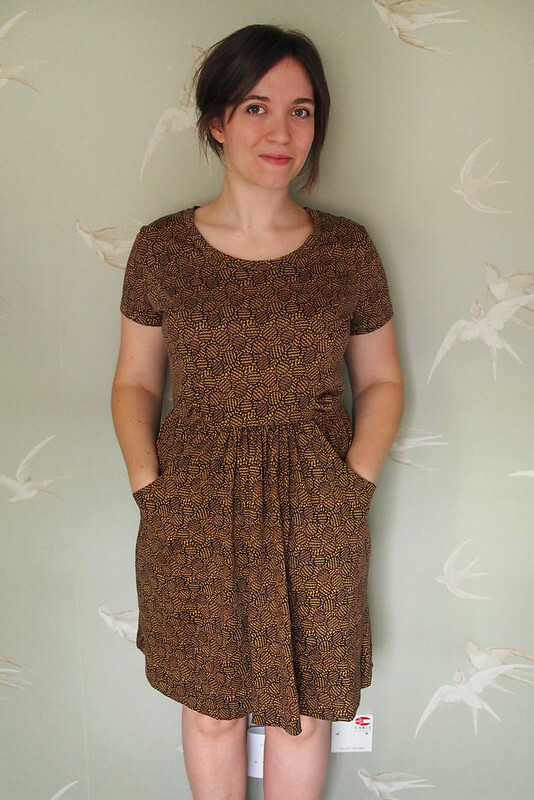 I love the pockets and the fabric is terrific! Good job with your drafting! I have my own blocks but as you mentioned, I’m always being distracted by the parade of new patterns. I should follow your lead and dive on in. How awesome that you can just sit down and design, then make, exactly what’s in your minds eye. No wonder you’re thrilled with it. 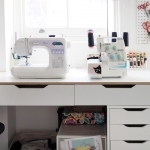 And yes, the constant distraction of new and shiny things makes it hard to construct a cohesive wardrobe, but you’re one of the best in the sewing blogosphere at staying true to your colour and design palette! Yes, it’s very exciting! Thank you, I take that as a big compliment. Lovely design. What an achievement to wear a self-drafted garment. Well done! 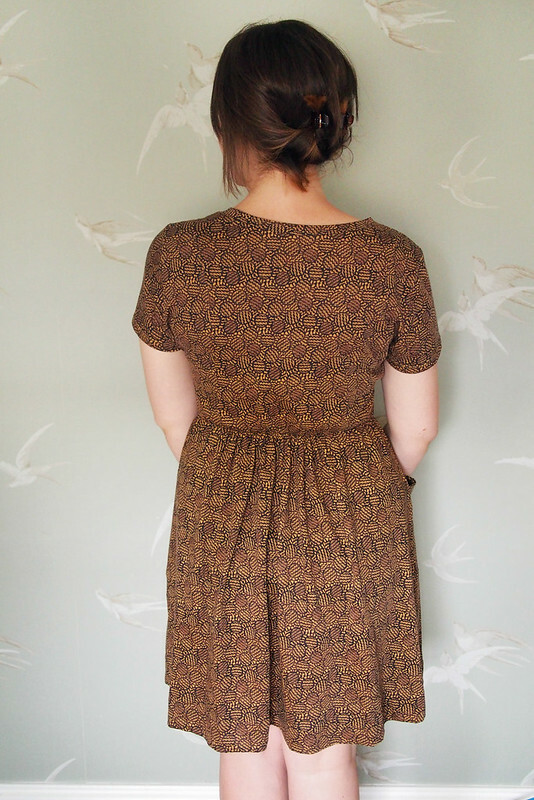 I really love the weight of Liberty jersey for dresses; just enough structure. The dress suits you really well and the illustrations are so clear and well done! 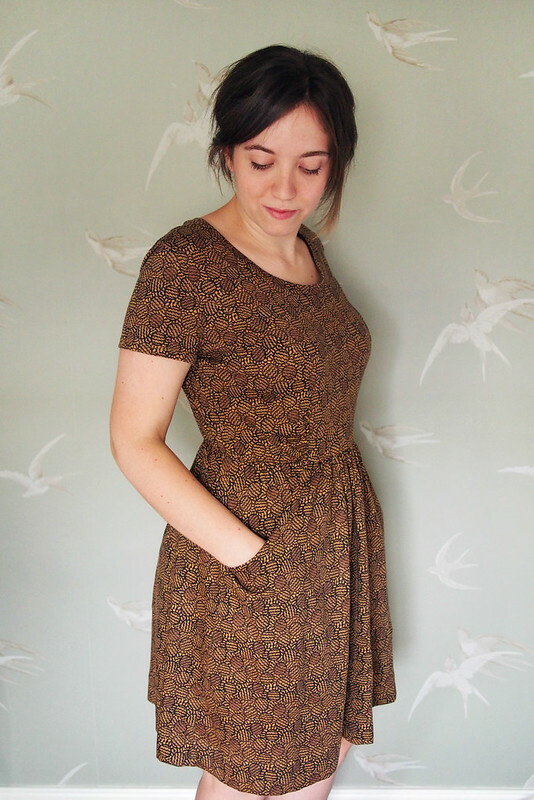 It’s certainly fun and fast to sew from other peoples’ patterns, but taking that extra bit of time to design & draft is really the best. It shows! Hi Katie, love the dress, it is true that the dress is very ‘you’. 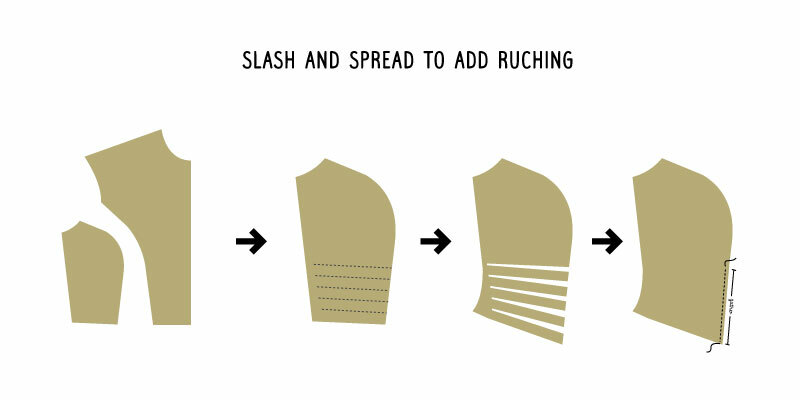 Great fitting bodice too, love the rusching on the side – I’m inspired to try designing on my block too! Is that Ai Chia from the Ray Stitch class? Thanks for stopping by, hope you are using your block! Love it! So cute. You definitely inspire me to sew more things that are “me”—or really spend more time figuring out exactly what that means! Hey, self drafted??? Super well done! I love the ruched side princess panels and the gathering at the front skirt. 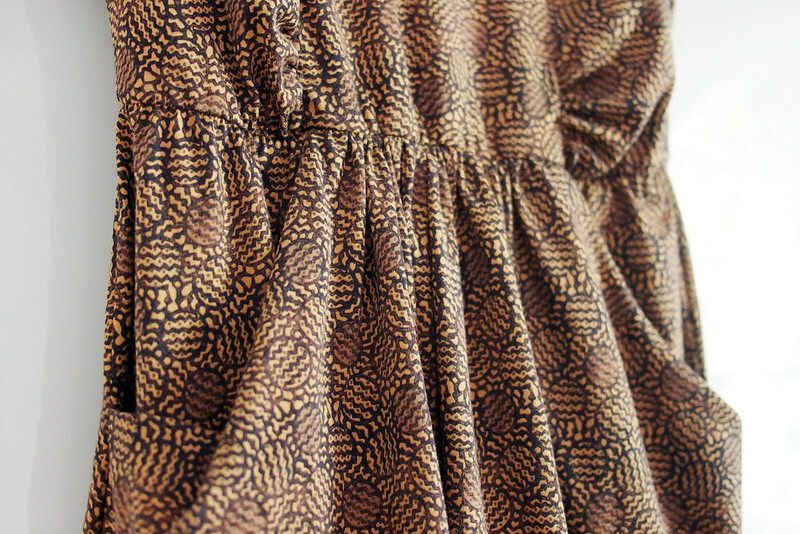 The fabric is also pretty. 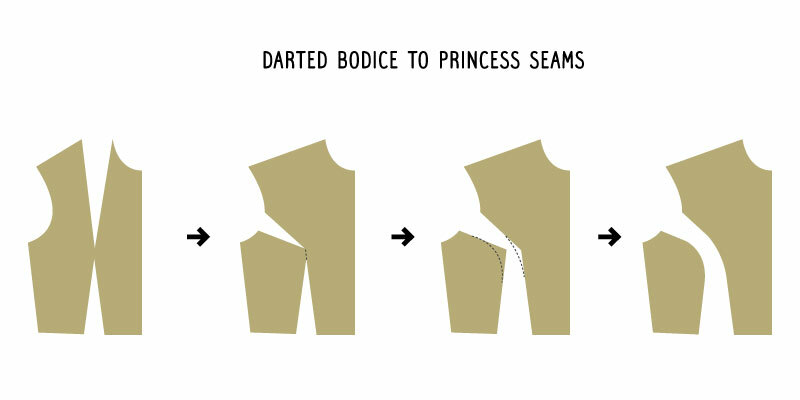 And, pockets! Well, duh. 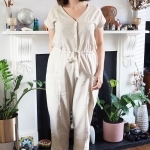 I know EXACTLY what you mean about being taken in by all the beautiful patterns that are out there and that really look so beautiful on so many sewing bloggers. But, I’ve given in and bought them, tried to sew and fit them and feel, well, not only not like myself, but feel I just don’t look good! So, Stella is trying to help me get my groove back these last few months and I think it’s totally working! 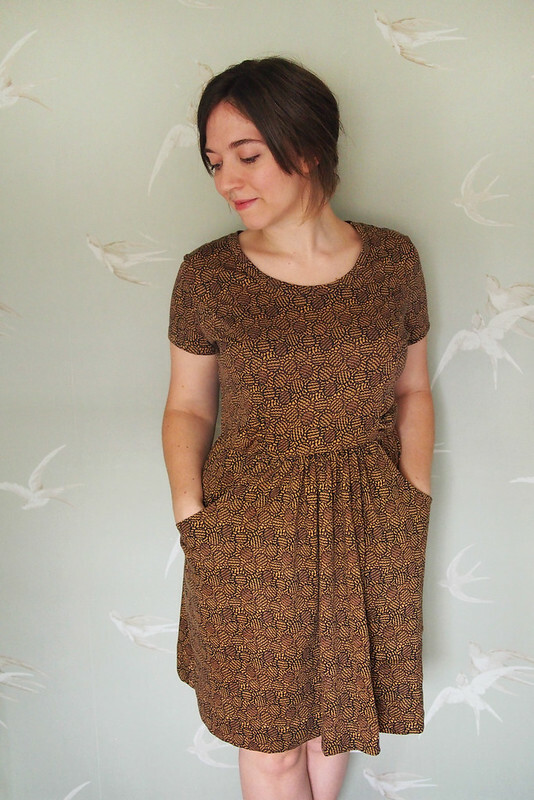 Just found this blog… I love this dress. It fits you perfectly and I just love the pockets as well. Thanks, it’s still one of my favourites!